​Is being a financial advisor worth it? I am an optimistic person and I encourage other people to keep a positive mental attitude (shout-out to Napoleon Hill and W. Clement Stone). However, by taking a good, hard look at the negatives in life, we can successfully pivot towards the positive aspects that will help us achieve our goals. You won’t make it in business if you don’t get clients. You won’t get clients if you don’t get prospects. Shocker! Luckily, my Ultimate Financial Advisor’s Guide to Getting More Clients goes into detail on cold calling, social media, referrals, direct mail, etc. I understand that hearing the word “no” is painful. I don’t remember the exact statistic but I’ve heard that by the time we enter adulthood, we’ve heard the word “no” 250,000 times vs. “yes” a mere 10,000. Because of this, we’ve learned to associate “no” with not getting what you want, and it hurts. 2. You Won't Follow Up. Some advisors talk a big game about following up and may even have the best of intentions, but they don’t automate the process or block it in their schedule. If you are truly committed to building your practice, you will make sure that nothing is left to chance or falls through the cracks. Also, according to InsideSales.com, half of all sales happen after the fifth follow-up attempt. Which means that financial advisors who aren't willing to follow up at least five times are leaving half of their potential income on the table. And according to Scripted.com, 44% of people give up after one follow-up attempt. This means if you can follow up just ONE time, you can place yourself in the top half of financial advisors. By the way, follow-up is one of the topics I stress every few issues in my Inner Circle newsletter. 3. You'll Let One Bad Experience Throw You Off Your Game. Are you having a bad day or did you have a bad five minutes that you think is your whole day? I hope you memorize that sentence, because it changed my life. Whenever I feel bad, I ask myself if I’m really having a bad day. Most of the time, I’m just wallowing over a few bad minutes. Bad stuff happens. Your clients leave you. Prospects who you thought were sure to convert end up with another advisor. People yell at you. Is your stomach churning yet? Just keep moving. Deal with the stuff that comes up and do the best you can with what you have. Once you’ve done everything you can to remedy a situation, move on and do something else productive. Don’t get sucked into the bottomless pit of anxiety and worry. Napoleon Hill said it best: “NOTHING which life has to offer is worth the price of worry.” True that, Nap. True that. 4. You Won't Make The Decision To Be Great. Oh yeah, you have to DECIDE that you’re going to be great. Getting clients and building a book of business isn’t terribly complicated. It’s simple, but not easy. There are so many excuses that people make up to avoid building their business. The industry’s changing, people don’t answer the phones anymore, it’s too competitive (we’ll get to that), and so on. 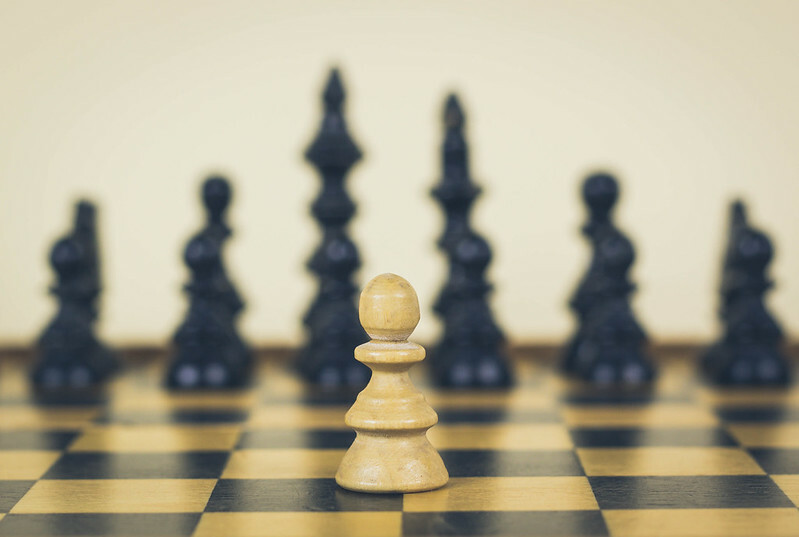 Building a business as a financial advisor is like chess - there are many moves you can make but you must make the right ones to win. 5. You'll Think It's Too Competitive. Because you don’t have a niche. If you are a generalist, your pool of competitors is HUGE. If you focus on a certain demographic, you give yourself a tremendous advantage. You refuse to position yourself as a strong number two in the prospect’s mind. This is a problem with the advisors who get discouraged and think that “everyone already has an advisor”. This isn’t bad news – it’s great! These are people who have already demonstrated that having a financial advisor is important. Besides, if your competition won’t be a strong number two and you will, who do you think the person is going to call when the current advisor inevitably screws up? 6. You'll Keep Making The Same Mistakes Over And Over. 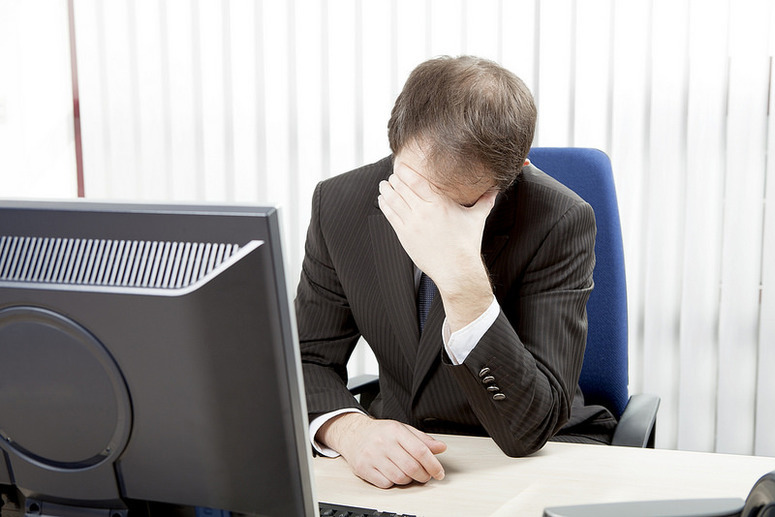 When you fail to convert a prospect, do you ask why you didn’t get that person’s business? Most people don’t. It’s painful and uncomfortable and it forces you to acknowledge that you’re less than perfect. When you ask “why” you are humbling yourself to see what you could do differently next time to change the result. If it’s something you are unaware of, you will keep making the mistake until someone points it out for you! If it can be measured, it can be improved, and you should be measuring everything you can. This includes your number of leads, number of contacts, number of follow ups, your ratios, and much more. When you have all of the data in front of your face, you can tweak your process to improve your results. 7. Your Outlook Will Be Too Short-Sighted. If you’re just looking for the next deal to put food on the table, you run the risk of cutting corners or making decisions that aren’t in your best interests for the long-term. Do the right thing all the time and you won’t have anything to worry about… even if it hurts in the short-term. I’ve worked with countless financial advisors over the years and while there are lots of reasons why they fail, these are seven of the most common. A lot of failure within the financial advisor industry comes down to either not knowing or not practicing the fundamentals. For example, every financial advisor should prospect and follow up - that’s a fundamental thing. However, when advisors don’t prospect, they put themselves in danger of failing. I talked about this in the first episode of my “Financial Advisor Marketing” podcast, which was called “Rules for Successful Financial Advisors”. Because just like with anything in life, there are rules you have to follow and if you want to increase your odds of being a successful financial advisor, you should learn and follow the basics. If you want to subscribe to the podcast, simply search “Financial Advisor Marketing” wherever you listen to podcasts. New episodes go live every Monday. Remember that nothing happens until you set an appointment. Also, new advisors often fail because they’re impatient and want to get immediate results. Yet, in order to succeed you need to develop a predictable and repeatable process you can use to set appointments and get clients.